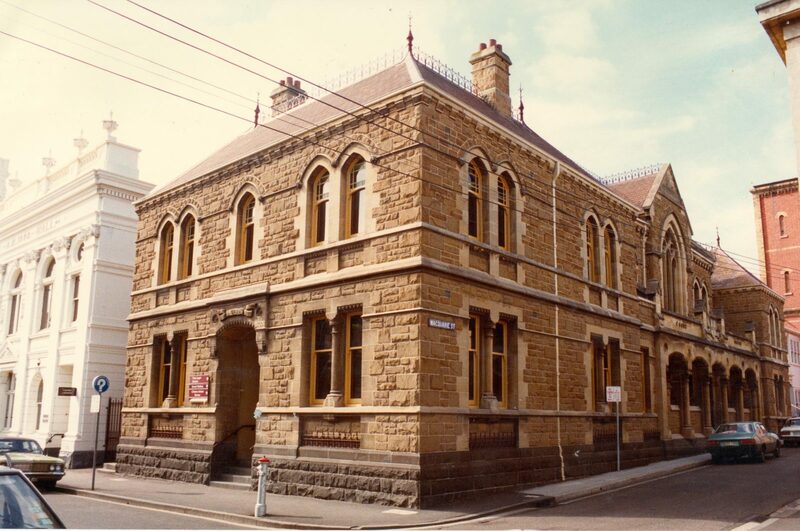 In 1886, a new police station and courthouse were erected on the land adjacent to the Prahran Town Hall, on the southeast corner of Greville Street and Macquarie Street. The Gothic Revival Style building features a basalt plinth, Barrabool sandstone trimmed with Waurn Pond limestone, and a slate roof with elaborate cast-iron cresting. The old courthouse then became the Council Chamber which contains its collection of 19th century furniture. Plans are currently being developed for the site to accommodate a range cultural, social and civic events. Transport: Stop 46: Chatham St on route 78.